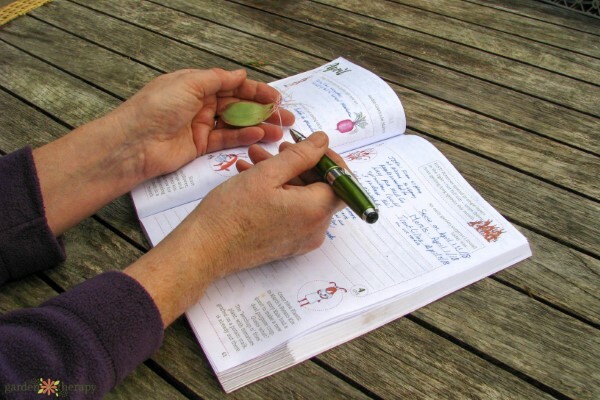 Keeping a diary that records your successes, failures, and noteworthy events in the garden is a wonderful way to learn and grow as a gardener. 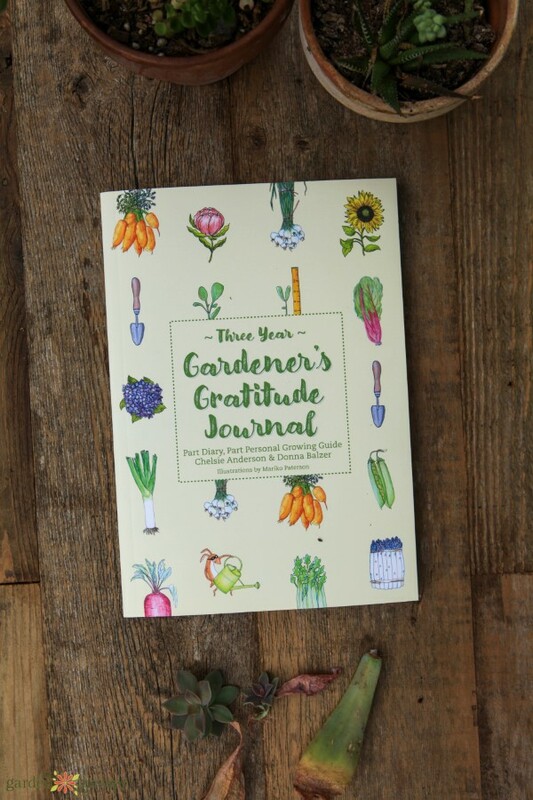 You will find that if you begin a garden journal this season, it will become a trusted and essential resource for your garden in coming years. 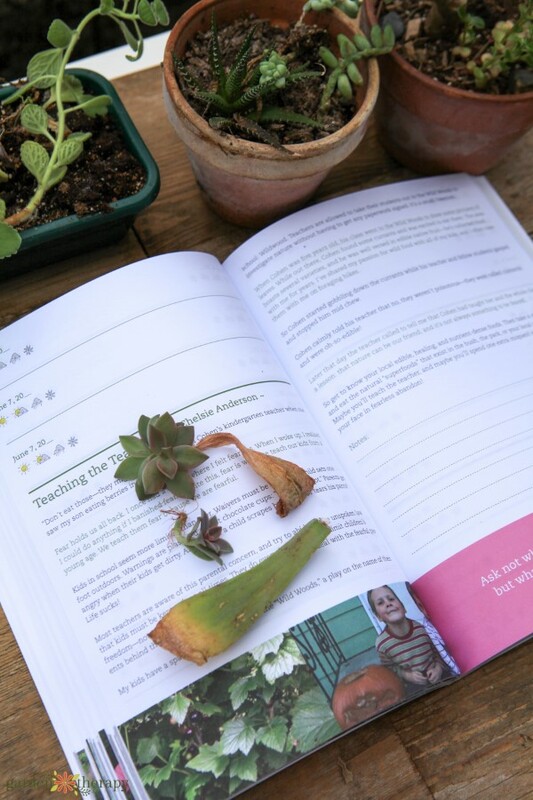 Keeping a garden diary allows you to look back on your progress in the garden and reflect, which is an effective way to learn and grow as a gardener. A garden journal is a written record of useful things that you will forget otherwise like frost dates, pest problems/solutions, and what you planted each season. You may not believe it right now, but in the future you will forget what you planted this year! Creating a garden journal is a simple way to ensure that you will have a lengthy record at your fingertips and can easily flip back to see what kind of peas you grew the year before last. 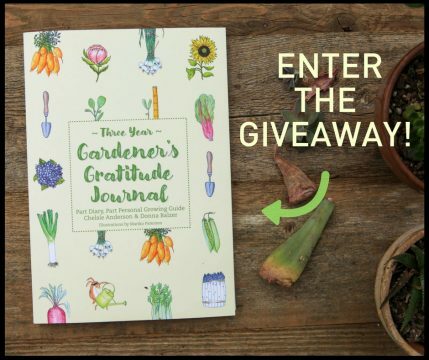 Here at Garden Therapy, we are all about better living through plants, so we were thrilled that Donna Balzer gave us a copy of her Three Year Gardener’s Gratitude Journal. We were particularly grateful because it focuses on gratitude! 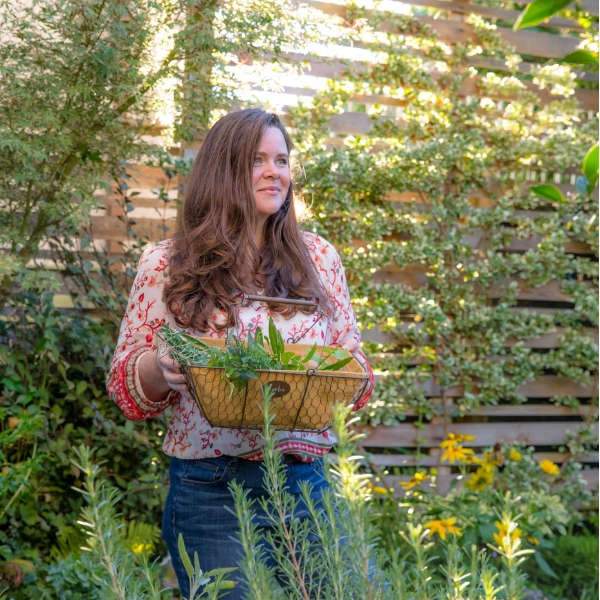 It’s not just a practical way to keep track of how your garden is growing (although it is that as well), it’s also a way to actively remind ourselves of the joy that the garden brings us. Psst: Donna *may* also be giving away a copy to one of our readers….check out the giveaway at the end of this post! Tracking what makes you thankful for the garden, whether it is hearty vegetables on your plate, enjoying the beauty of flowers, or the blissful feeling of sinking your hands into the dirt, forces you to slow down and think about the little things that make you happy and gain a better appreciation for those things. Recording your garden gratitude will also help you realize which aspects of the garden bring you the most joy so that you can prioritize those things as you plan your garden for the coming year. Decide to do it and make yourself stick with it. Sitting down regularly to write about your garden might feel like a pain at first, but if you just make yourself do it for a little while, it will soon become habit and you will be over the moon next year when you can look back at all of your helpful gardening notes for reference. Plan how often and how much you want to write. It doesn’t take a lot—just write a sentence or two at a time. You can do this once a day or once a week, whatever feels best for you. Set aside a regular time to write in your garden journal. Try adding a few minutes of journaling to your bedtime routine as it is a relaxing activity that can help you wind down after a long day. Jot down whatever feels noteworthy to you. Some useful things to keep track of include first and last frost dates, what you planted and when, and which crops grew the best. It’s also nice to record wildlife sightings, garden activities that made you the happiest, things you are grateful for, types of butterflies that visited your garden…anything that feels significant to you! Have fun. 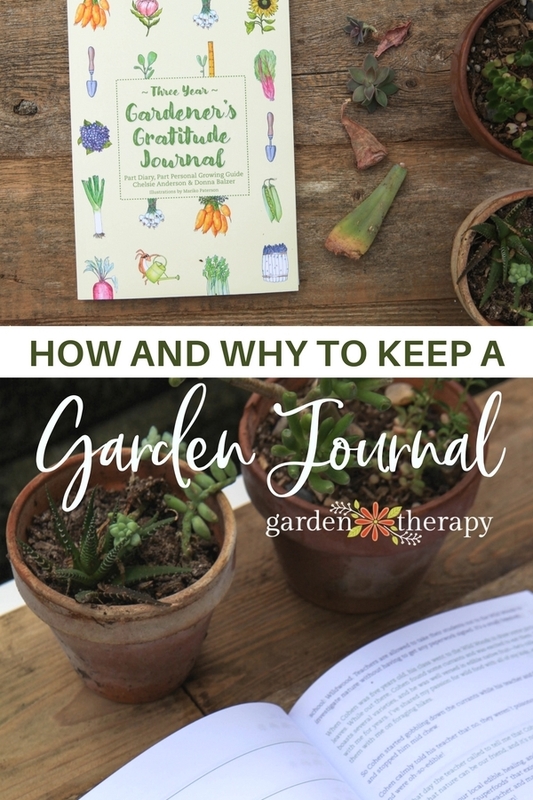 Once you get in the habit of keeping your garden journal, it will stop feeling like a chore and start to be a fun activity. Journaling of any kind can be a very effective form of self-care because it forces you to slow down, pay attention, and reflect. Be sure to check out our FREE Printable Seed-Starting Journal to keep track of your seedlings as they grow! 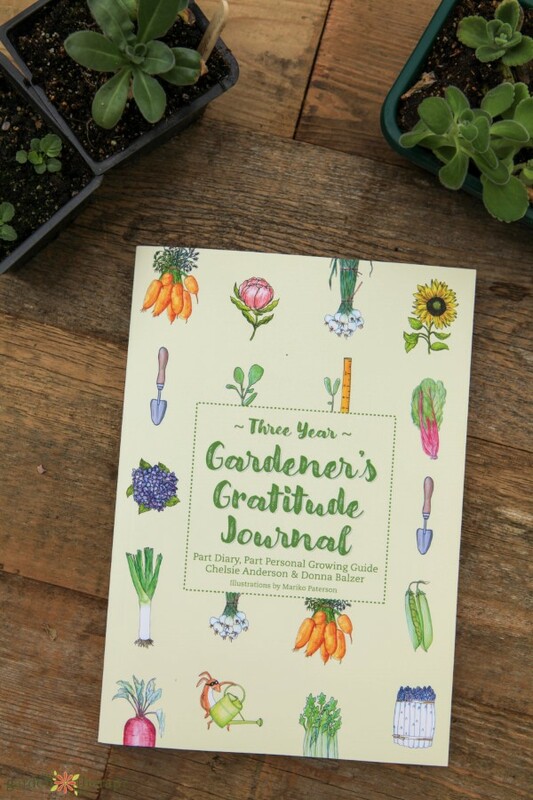 Donna Balzer’s wonderful Three Year Gardener’s Gratitude Journal is the perfect place to track your garden progress. The book’s practical layout and whimsical illustrations (and stickers!) make keeping a garden diary both fun and functional. Donna has generously provided a copy to give away to one of our readers. 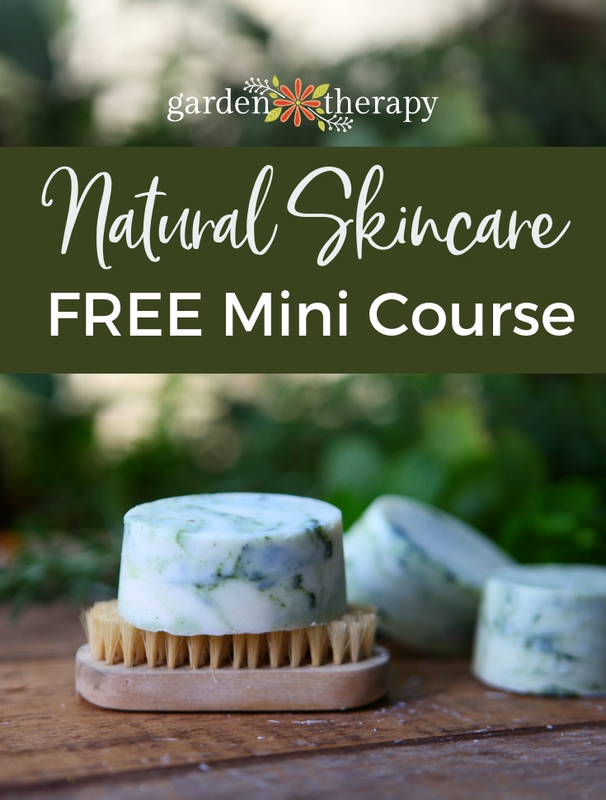 Simply leave a comment on this post by May 13th, 2018 to enter and be sure you are signed up for our newsletter to get news and special offers we don’t share anywhere else. This contest is open to residents of the continental US and Canada, except Quebec and where prohibited. This contest is now closed. Congratulations to our winner, Sally. Am I too late for the lovely journal?